The Hague, NL - On September 25, 2009, the Dutch SPCA1 fired animal welfare inspector Alexandra Semyonova, author of The 100 Silliest Things People Say About Dogs, after Dutch pit bull terrier enthusiasts targeted Semyonova for identifying the dangerous characteristics of the breed and criticizing the reluctance of the humane community to recognize that dog breeds created to fight are both behaviorally and physiologically different2 from other dogs. The firing leaves The Hague3 without an animal welfare inspector until a competent replacement can be trained. Semyonova recently issued a statement to DogsBite.org regarding the actions of the Dutch SPCA. We have underlined portions of her statement for emphasis. "It's clear that they don't care about leaving thousands of animals unprotected -- including neglected and abused pit bulls," writes Semyonova. "I've spent almost ten years now investigating reports of neglect and abuse of animals. The Dutch SPCA knew from the beginning that I disagreed with their stance on pit bulls. This annoyed them, but I was one of the best inspectors they ever had, able and willing to spend months if necessary nursing a case along until I saw that an animal's situation had really improved. I always expressed my views on the pit bull problem as a private person or in my capacity as an expert on dog behavior. I never implied that the Dutch SPCA shared my opinion. In fact, I was -- if asked -- always quite clear that they don't. So the organization tolerated me. In summer 2009, however, after I appeared in a Dutch television documentary on the pit bull problem, the Dutch SPCA began to get a flood of anonymous calls making ridiculous complaints about me. I was credited with owning DogsBite.org4 (quite a piece of inadvertent flattery there) and of going around parks arbitrarily tear-gassing pit bulls or stabbing them to death. In the end, the SPCA sacked me without verifying any of the complaints or the identity of the complainers, simply calling me disloyal for continuing to tell the facts about aggressive dog breeds. The most shocking thing about this, isn't its effect on me. It's the fact that the SPCA is willing to leave all the animals -- thousands of them -- in one of the Netherlands' biggest cities without a competent welfare inspector to protect them. Dutch law only protects animals from the most blatantly cruel physical abuse. These most blatant criminal cases are covered by the national service. It's up to local welfare inspectors to take care of the other 99% of the complaints we receive, where we can't bring criminal charges and have to depend on persuasion to get an animal owner to change his or her ways. It's going to take the SPCA at least a year and a half to find and train a new city inspector up to real competence. This means a year and a half of all kinds of animals silently suffering in situations that are appalling, but that the criminal law doesn't cover. The second part of Semyonova's statement addresses the "organized attacks" carried out by The Hague pit bull community. Similar attacks are carried out in America as well. "If you speak out about pit bulls, you are on your own," writes Semyonova. "You are even on your own if you report the killing of your dog by a pit bull to the police." "The anonymous complaint campaign to the Dutch SPCA wasn't the first attempt to silence me. But I'm not the only one who has been targeted. The same organized attacks have been directed toward shelters and shelter personnel where illegal pit bulls were being held for testing. There have even been break-ins and assaults. The Dutch Ministry of Justice acknowledged on public television that these intimidation campaigns form a pattern that clearly constitutes organized crime, but said they have no intention of prosecuting the pit bull fan club that is behind it all. If you speak out about pit bulls, you are on your own. You are even on your own if you report the killing of your dog by a pit bull to the police. The police will take the complaint if you insist, but they add a warning that they won't interfere if the pit bull fan club targets you for punishment. And they don't. This has led to serious underreporting of animal maimings and deaths caused by pit bulls." The third part of her statement addresses the hypocrisy of animal welfare groups, who favor "preserving" the pit bull breed -- terminology mainly used by dogfighters. "The SPCA is largely responsible for the repeal of the pit bull ban in the Netherlands this past summer," writes Semyonova. "The SPCA now get scads of calls from people whose ordinary dogs have been savaged by a pit bull." "Still, what shocks me most, is the willingness of the SPCA to ignore the health and welfare of other animals in favor of preserving the pit bull. The SPCA is largely responsible for the repeal of the pit bull ban in the Netherlands this past summer. The SPCA now get scads of calls from people whose ordinary dogs have been savaged by a pit bull.6 But they can no longer help these traumatized and grieving people, because it's the SPCA who made sure there's no longer any legal recourse. Worse yet, SPCA policy requires that grieving callers be fed the same old line of propaganda they wanted me to propagate. Meanwhile, as long as no outsiders are listening, other SPCA employees I know acknowledge that they cross the street or quickly leave a dog park when they see someone approaching with a pit bull. They have one walking around at the national office. I've been told that when a visitor comes, they shut this dog up in another room. So the SPCA knows perfectly well what this type of dog is all about,7 yet they continue to fight for the breed's preservation -- and for suppression of information8 that might lead other dog owners to avoid pit bulls, thus saving many dogs' lives. Then there's the welfare of the pit bull itself. The SPCA knows that dogfighting isn't illegal in The Netherlands, yet they aren't fighting for a law to ban it. They know that keeping these fighting breeds legal means keeping dogfighting alive as a brutal blood sport. I just don't get it that they keep spending their donors' money on keeping the fighting breeds on the streets. To me, it looks like a lack of real concern for animal welfare." The final part of Semyonova's statement includes an unanswered email sent by Animal People editor Merritt Clifton to the Dutch SPCA chief executive. "They don't seem to realize they are undermining their own credibility on all fronts by failing to find the courage to admit a mistake," writes Semyonova. In my opinion, the organization made the wrong decision some fifteen years ago, when they decided to oppose breed-specific legislation and to fight for the preservation of the fighting breeds. Now they are more concerned with saving face by sticking to an old, bad decision than with doing what is really necessary to truly be a humane society. The same goes for humane societies all over the world. They don't seem to realize they are undermining their own credibility on all fronts by failing to find the courage to admit a mistake." 1Unlike in the U.S. (See: Each Humane Society is a Separate and Distinct Organization), the Dutch SPCA (NL-SPCA) is a national organization, of which all local chapters are dependent. The NL-SPCA determines policy on all issues, from pit bulls to industrial animal husbandry, and the chapters must follow these policies. 2In the years serving as the vice president for research and educational outreach for the Humane Society of the United States (HSUS), Randall Lockwood taught extensively about the "difference" between fighting dogs (pit bulls) and other dog breeds. Furthermore, Lockwood's fighting dog research was used to uphold the City and County of Denver's pit bull ban. 3The Hague is the third largest city in the Netherlands after Amsterdam and Rotterdam. 4Not only does DogsBite.org enrage U.S. pro-pit bull groups, we enrage such groups across the world! 5This is true in the U.S. as well. 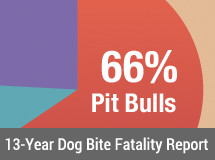 Furthermore, as 2007 data shows (750,000 pit bulls euthanized), the pit bull community responded by breeding more unwanted in pit bulls in 2009. 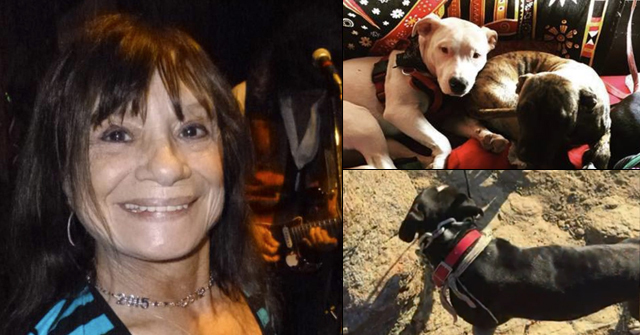 6The volume of pets, who are savagely attacked by pit bulls, far outpaces attacks on humans. 7The American Society for the Prevention of Cruelty to Animals (ASPCA) is also fully aware of the dangerous characteristics of the pit bull breed (See: ASPCA Guide to Handling Pit Bulls in Shelter Environments). Yet, the ASPCA promotes the breed as a "nursemaid's dog" to the U.S. public. 8Countless U.S. animal welfare groups suppress and distort the truth about the pit bull breed to the American public. A few examples include: Best Friends, the ASPCA and the PSPCA. As I sit here trying to regain my composure, one thought occurs and that is money talks. We're just a grass roots movement, no money. Bless her heart, she stands for what she believes at a cost. That's what we all have to do if we expect to overcome. It's ridiculous that the Dutch government is basically bowing to the Pit Mafia. My respect for Semyonova grows every time I read anything about her. She has the courage and the experience to tell it like it is. Yes, it is so sad that the dog-fighting criminals have been so successful at partnering up with the breeders in order to further their agenda, which is, of course, keep access to their killing machines legal, so that they have always have a ready supply. It is also so sad that they have successfully indocrinated so many other people with their propaganda and outright lies. Amazing that they have been able to take the truth, and have people actually believing that the "Truths" are the "myths." Sad how they have been able to hoodwink so many rescues and shelters and A/C people into believing that they are fighting the good fight for all animal-kind. Amazing how they have been able to get such a vocal and organized following of average everyday people who join the cause because they actually believe the foolishness that pits are just lovable little wiggle butts in reality, and are only used for dog-fighting because some mean old people like to abuse them and "turn them mean." Kudos to Semyonova for standing her ground! It is very clear that DOG FIGHTERS and criminals have become involved with the Dutch government. The ONLY people breeding these dogs are DOG FIGHTERS and CRIMINALS. Pit bulls are NOT pets. They are fighting dogs. However, Alexandra should now write a book detailing the corruption in the Dutch government, and other governments, that are working to help dog fighters prosper, and the problems with this criminal breeding and fighting industry. Alexandra, it is very possible that the SPCA is getting money from dog fighter lobbies, and may even have some dog fighters on their board. They are more than likely posing as "responsible dog breeders." We also have dog breeders and dog fighters using the flag and false front of No Kill to hide their lobbying and dirty deeds to protect profits. Here in the U.S., the Farm Board (which supports cruelty to farm animals and puppy mill dogs) is giving money to some shelters and humane organizations in hopes of "buying them off" so that humane organizations won't protest farm animal abuses and encourage regulation. These are criminals involved in criminal behavior trying to protect their profits from these abuses by spreading some money around. Please consider starting a site like Dogsbite in your country, and give a voice to the people whose relatives and pets are being killed and maimed by pit bulls! Does anyone have any information on the "pit bull fan club" in the Netherlands that is responsible for enabling these killings and attacks? A point well made and too often overlooked or minimized is the frequency, serious and deadly consequence allowing pit bulls to exist poses on all other breeds of dogs, cats, livestock, etc. Dogs do what they were bred to do. Nobody is surprised to see pointers, point. Should anybody be surprised to see fighters, fight? And U.S. bred fighting dogs – pit bulls – are getting sold and shipped to the Netherlands. This is why these pit bull breeders from other countries support each other- they are in business together! This is INTERNATIONAL organized crime and racketeering. So the Dutch prime minister is letting UNITED STATES organized crime run his show? What a joke he is. It is very clear that the dog fighting and pit bull breeding world have become TERRORISTS that are threatening the lives of victims of pit bulls. This is TERRORISM. The miserable failure of animal organizations (SPCA and Humane Societies) to deal with the pit bull problem — 1.) One million pit bulls euthanized in 2009 2.) Up to 2/3 of animal shelter space nationwide is occupied by pit bulls 3.) Countless horrific and deadly attacks by pit bulls upon pet dogs, cats, horses and livestock — cannot be measured. By failing to support breed-specific laws to correct a well-understood breed-specific problem, animal groups are sacrificing an untold number of pets that are being savagely attacked by pit bulls on a daily basis. By protecting pit bulls from humane regulations, such as mandatory spay/neuter, the humane community is directly responsible for the one million pit bulls euthanized in 2009, the million more in 2010, and on and on and on. As Semyonova writes, these groups have been unwilling to admit a mistake. Due to this mistake, thousands upon thousands of pets and domesticated animals will meet the worst death possible, being ripped apart by the powerful, merciless jaws of a pit bull, a breed that no one argues is highly "animal-aggressive." The humane community has "sold out" to the small but piercing pit bull lobby, and have thrown your cute dog named pebble into a flaming, burning trashcan. These groups DO NOT CARE that your pet may meet a grisly death by a pit bull. They care ONLY to "promote" the pit bull breed's reputation through distortions and to stop pit bull laws from being enacted. The humane community spends hoards of money FIGHTING breed-specific laws. Could this money be better spent elsewhere? Neither logic nor "true animal welfare" guides their policies regarding pit bulls. No newspaper mentioned the breed of the dog but you can see it in the video! this is my understanding of graduate studies: spines are optional in europe and not available yet in the u.s. Corruption in the "humane" community can be traced back to their concern over donations, not their concern about animals. In order to do the work they do do, such as HSUS, they have to walk a thin line. When HSUS came out publically against "No Kill" in the early 90's, their donations fell dramatically, enough to cause a reversal. Sometimes they have to set priorities and those priorities can make them seem like they support something they really don't. Not good but at least it keeps their good works going. Blame "No Kill", do away with this movement and you will see the tunes changing. So this pitbull-love nonsense is going on the world over! When will it end? It's like the last great politically-incorrect subject no government officials want to touch. Back to answer some of the comments. @anonynmous:It is very clear that DOG FIGHTERS and criminals have become involved with the Dutch government. Our minister (Ms. Verburg) denied on television that she knew Gerard Kuipers, until the journalist confronted her with photos of her with him. Kuipers had an arm around her waist and her hand in his, both of them grinning, at the party celebrating the PB ban repeal. Verburg flushed and sputtered but had no explanation of why she was so cozy with someone she claimed not to know. 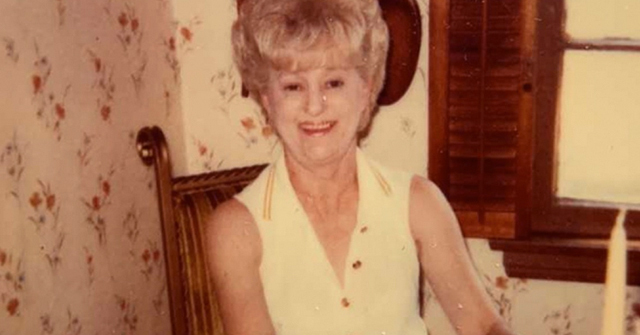 When the mother of a PB-killed child agreed to talk to the police, the PB fans came every day until the day of the funeral and paraded up and down her street for hours WITH THEIR PBs. 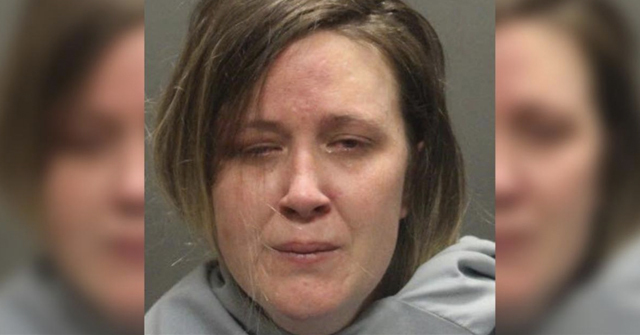 This was punishment for not telling the police she didn't know how her child had been killed. It's called the UKCE and is led by Gerard Kuipers. According to the television journalists, Kuipers has convictions for various felonies. At their web site (UKCE.nl) you'll see my name many times. These are calls to find and badger me, silence me. P: Corruption in the "humane" community can be traced back to their concern over donations, not their concern about animals. This is why I think it would be effective if donors everywhere wrote letters explaining that no more donations will be forthcoming until these orgs start suppporting BSL. @Positively Radical: So this pitbull-love nonsense is going on the world over! Dogfighting is an international scene, as is the above-ground kennel club stuff. But don't lose hope. Several European countries do have PB bans, usually including several dangerous and/or PB-type breeds. Kanton Zurich in Switzerland recently decided to implement one. Denmark is considered banning sixteen breeds. It's worth keeping up the good fight.